Troy’s next book, coming out in Spring, 2018, is The Zionist Ideas: Visions for the Jewish Homeland – Then, Now, Tomorrow. In the Foreword to the book, Natan Sharansky, writes: “This magnificent work is the perfect follow-up to Arthur Hertzberg’s classic The Zionist Idea. Combining, like Hertzberg, a scholar’s eye and an activist’s ear, Gil Troy demonstrates that we now live in a world of Zionist Ideas, with many different ways to help Israel flourish as a democratic Jewish state. In 2012, he edited and updated another classic, the multi-volume History of American Presidential Campaigns, originally edited by Arthur M. Schlesinger, Jr. and Fred Israel. In December, 2012, Moynihan’s Moment: America’s Fight against Zionism as Racism looking at the fall of the UN and the Rise of Reagan was published by Oxford University Press. Jewish Ideas Daily designated it one of its “best books” of 2012 and it won a 2014 J.I. Segal Award in the category of English Non-Fiction Award on a Jewish Theme. Troy has been widely published and quoted in the American, Canadian, and Israeli media, including writing essays for the New York Times’ feature “Campaign Stops” in the 2012 and 2016 campaigns. He writes a weekly column for the Daily Beast, “Secret Lives,” putting current events in historical perspective, as well as a weekly column for the Jerusalem Post usually republished in the Huffington Post. He also blogs regularly at the History News Network www.hnn.us, and has been published in the Wilson Quarterly, the Washington Post, the Montreal Gazette, the Globe and Mail, the National Post, and The New Republic, among other publications. He won the 2015 Simon Rockower Award for Excellence in a Single Commentary from the American Jewish Press Association for an article defending Israel during the 2014 Gaza conflict. A Distinguished Scholar in North American History at McGill University, Troy arrived at McGill in the fall of 1990. From 1997 to 1998 he served as chairman of McGill’s history department. In March, 1999 he was promoted to full professor. 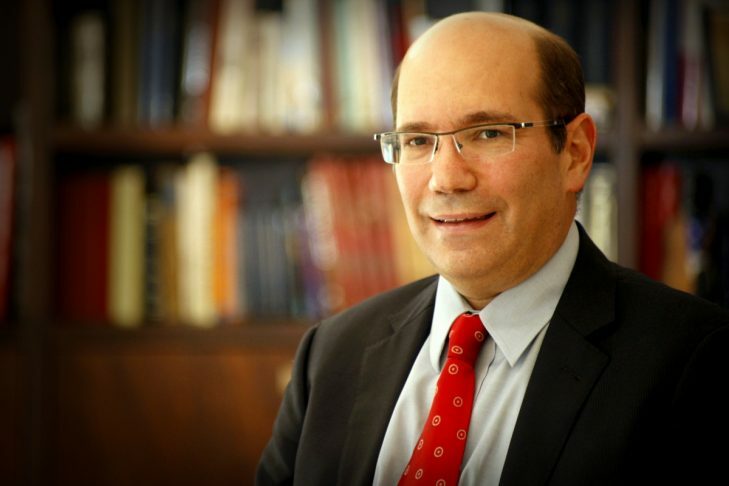 Maclean’s Magazine has repeatedly identified him as one of McGill’s “Popular Profs” and History News Network designated him one of its first “Top Young Historians.” He has also taught at the Ruderman Program on Relations between Israel and American Jewry at Haifa University, at the Interdisciplinary Center at Herzliya, and at the Rothberg Program for Overseas Students at Hebrew University. For press inquiries, review copies, or requests to bring Gil Troy to speak in your community, contact giltroypr@gmail.com. © Gil Troy. All rights reserved. Website & Strategy by Cortex Group.